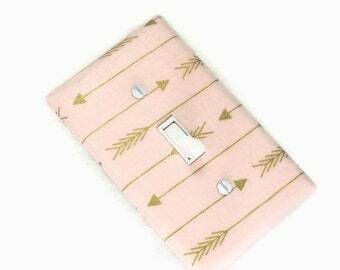 Announcement Welcome to Suiteplate - handcrafted, decorative, posh light switch covers! Many designs perfect for your baby's nursery, your little one's bedroom and even a few designs for grown-up spaces, too. 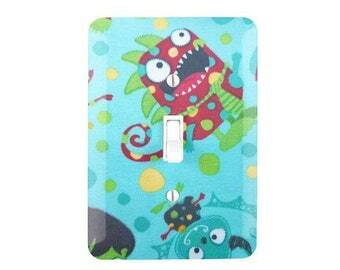 Welcome to Suiteplate - handcrafted, decorative, posh light switch covers! Many designs perfect for your baby's nursery, your little one's bedroom and even a few designs for grown-up spaces, too. These turned out perfectly! They were also packaged in a very cute manner and came with all hardware/tool needed. Great ship time and product! Very nice packaging. Great customer service! Quick response time! Nice added touches came with the package! Product looks amazing and adds that special touch to our baby’s nursery! 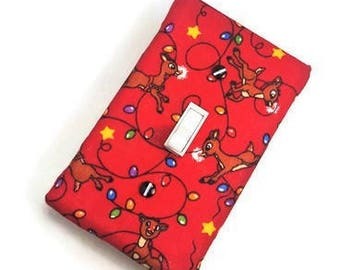 My contribution to buyers wanting to shop outside of the big box stores is by creating and offering specially handcrafted, beautiful light switch covers. Having never been an admirer of the contractor grade white switch plates, I decided that I had to do something that would add some personality and style to them. When I was pregnant with my daughter, I was lovingly designing every aspect of her nursery. After selecting the perfect crib and bedding, changing table, window coverings, glider and paint color for the wall, the room still looked unfinished. Those unattractive, uninteresting white switch plates seemed glaringly out of place. Off to the fabric store I went. I created a beautiful light switch cover with outlets to match that perfectly coordinated with the colors and theme of my daughter's nursery. It was amazing how such a small change could make such a huge difference. I transformed a basic switch plate cover into what I call a suíteplāt. I have covered every light switch cover in my home and love the results. I want others to experience the joy and the home décor finishing touch that a Suíteplāt can add to their space. The love and attention that I use when I am decorating my own light switch covers will be applied to your light switch covers, as well. All of my light switch covers are made in a smoke free environment. Make the switch and add a Suíteplāt to your home. Suíteplāt light switch covers are perfect for baby nurseries, children bedrooms and playrooms and there are several designs perfect for adult spaces. You will be delighted how you can enliven your wall with a switch of décor. The change will definitely be sweet. Thank you for shopping at Suiteplāt! Hello! I'm a wife & a mother, and I am obsessed with all things interior design related. Plain white or almond contractor grade light switch covers make me sad. Thank you for shopping at Suíteplāt. 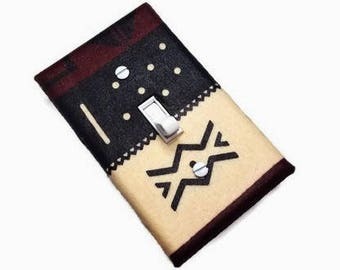 Suíteplāt offers beautiful, handcrafted, fabric covered designer light switch covers. Customer service is extremely important to me; and I want you to feel confident about your purchase. You can direct conversation me whenever you have a question. Please review my shop policies. I want you to be pleased with your purchase. If, for whatever reason, you are unhappy with your suíteplāt, please direct conversation me first. If you would like a refund, please notify me within seven days after you receive your order. Please return the switchplate in its original package in the same condition in which it was received. You will be responsible for the return shipping postage, and after I receive the returned suíteplāt in its original package, I will refund your money via the same form payment you submitted to place the order MINUS the original shipping and handling charges (if applicable). If the light switch cover arrives damaged, please direct conversation me. I will instruct you to submit photos and then I will provide you with information how to proceed. After your order has been shipped, you can generally expect to receive your package (if in the United States) within 5-9 business days. International orders can take up to six weeks to arrive in certain countries. If you do not receive your package, please direct conversation me. I am happy to accept Visa, MasterCard, Amex and Discover cards via Etsy's Direct Checkout system. I also accept Etsy gift cards. Orders will not be processed until after payment has been received. Please contact me if you are experiencing problems with payments going thru the system. I ship via USPS first class mail from Wichita, Kansas in the United States. The options of Priority Mail and expedited shipping are also available, if needed, for an additional charge. ****PLEASE NOTE**** When ordering THREE (3) OR MORE suiteplāts, you MUST select the Priority Mail option. If you do not automatically select this option, you will receive a message from me requesting the additional money for shipping. I want to make sure that you receive your order in perfect condition. To prevent breakage, I must ship three or more suíteplāts via Priority Mail. Items will be shipped in a bubble mailer (unless you order 4 or more suiteplāts) . Whenever tracking numbers are provided, I will forward that information to you. Orders within the United States should arrive within 5-9 business days AFTER your order is shipped. In all probability, much sooner. Delivery delays can also occur due to inclement weather and holidays. Suíteplāt is not responsible for delivery delays due to weather, holidays and buyers providing an incorrect shipping address. International orders: Please be aware of your country's VAT and tax laws and customs. You will be responsible for any additional fees or monies to be collected. Q: The switch configuration I need is currently out of stock or is not listed, can you please help me? A: Yes. Please direct conversation me. I will very likely be able and more than happy to fulfill your request. Q: The image placement on my fabric light switch cover is slightly different than the photo in your shop. Why? 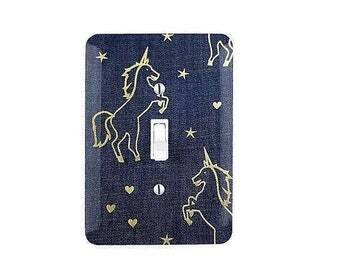 A: The fabric used to make your light switch cover will be exactly as pictured, but because each light switch cover is handcrafted, the cuts on the fabric may slightly vary. I assure you that your light switch cover will still capture the essence of the fabric. You will always receive photos of your completed suíteplāt for you to preview before I deliver your order. Q: Can I just remove my current switch cover and replace it with a Suíteplāt cover? A: Yes. All you need is a flathead screwdriver. 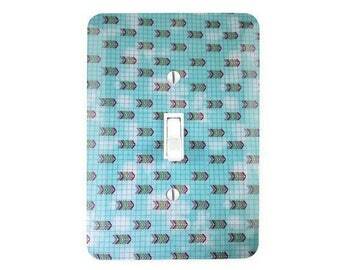 All Suíteplāt switchplates come with color coordinated screws and should fit in your standard light switch receptacle. Please verify size before placing your order. Q: I want an outlet cover to match the Suíteplāt light switch cover, is that possible? A; Absolutely. If you do not see the coordinating outlet cover in my shop, please direct conversation me and I will be more than happy to assist you. Q: What is Made to Order? A: Made to Order: After the customer places an order for the light switch that they want in the switch configuration they need and I receive notification of the order, I begin to handcraft their suíteplāt. Q: Why does my Suíteplāt cover feel hard? A: Although high quality fabric is used, longevity of product and ease of cleaning is very important. I use several layers of sealer for protection that hardens the fabric and gives the switchplate a painted appearance. Q: How easy is it to clean the light switch cover? A: Easy. All you need is damp cloth, Wet Ones or diaper wipes. Q: Does the fabric wrap around the entire switchplate? A: No. The fabric is hand wrapped and folded to cover just to the backside edges of the switchplate. All visible areas of your light switch cover will be wrapped in fabric. Q: Your shop is really lacking in some design and themes that I want to see. Are you open to suggestions? A; Yes. Please contact me with suggestions and ideas. A: Yes, but only to Canada. Q: I am hesitant to order because it is just a light switch cover. A: Go ahead and place an order. You will be amazed by the impact such a small decorative detail can make to your wall and room. Go ahead and order your Suíteplāt today. After your friends and family see yours, they'll want one, too!